When hunting, harvesting an animal is the goal, but not the point. 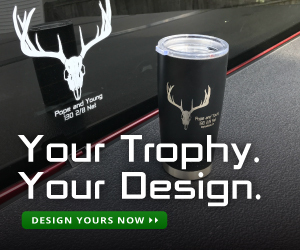 Hunting is a means to connect with family and friends, build relationships, to share stories and laughs, and experience the outdoors together. 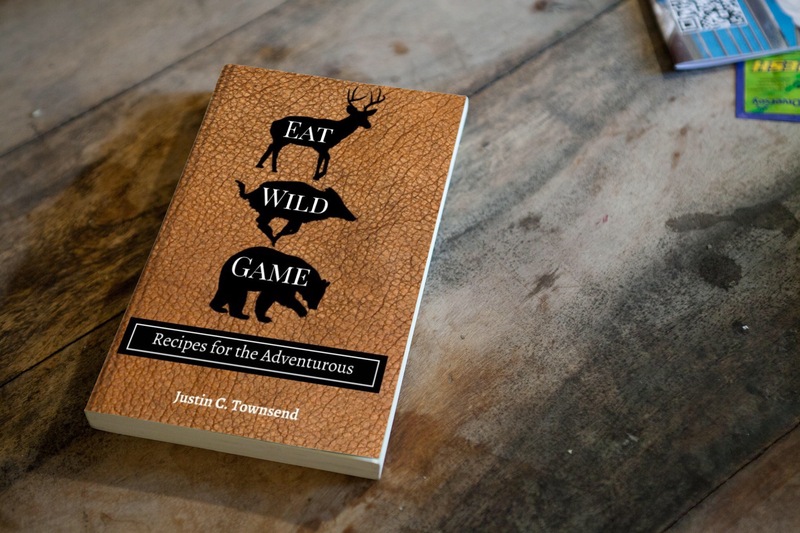 Hunting has been a tradition in my family for a long time and this past year I’ve had a chance to introduce some of my friends to that tradition and create long lasting memories, ones that we’ll share around the table at hunting camp many years from now. It all started when a few friends from across state came to visit over a long weekend early last year. I took them to an indoor archery range to fling a few arrows. It was then that I was able to convince my friend, Mike, to buy himself a bow and start archery hunting. It didn’t take much convincing and it wasn’t long before he was outfitted, complete with a new bow, camo, and all the other accessories needed to take to the woods for Pennsylvania’s fall archery season. We scheduled a weekend for him to come out to the house for his first archery hunt later that same year. I did more pre-season scouting than usual and set up enough tree stands and areas for a blind so we had plenty of spots to accommodate both of us. I had high hopes that Mike would get a chance to draw back on a deer. We hunted Thursday through Saturday and Mike only saw a few distant tails as the deer were waving their flags in retreat. He had fun regardless, so we planned to schedule a hunting weekend for the following year. 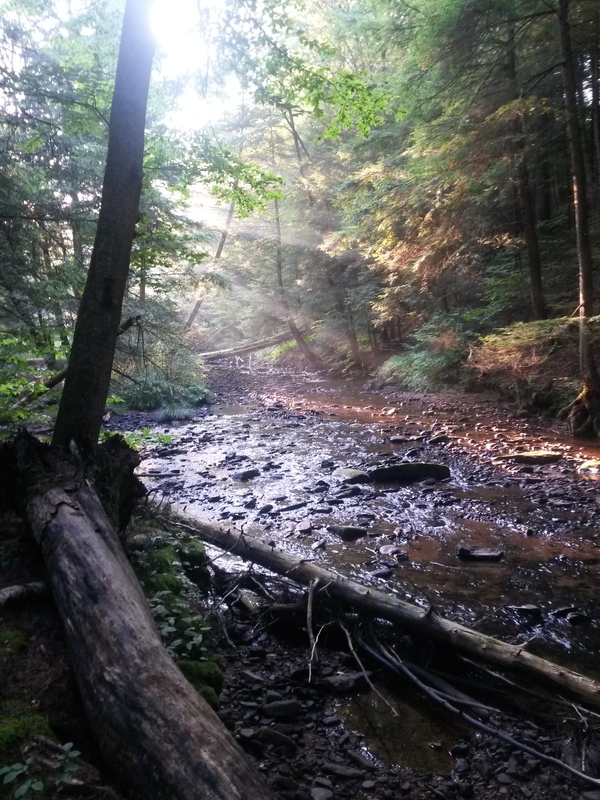 My wife’s family owns a small hunting camp in the heart of the Allegheny National Forest. I’ve had the pleasure of spending a few weekends at “Camp” during rifle season over the last few years, hunting with her family. Camp has a storied history in whitetail hunting and has many large tracts of forest within a few miles that are open to the public for hunting. So after asking for permission to use the camp for a long weekend in October, Mike and I started planning our second hunting trip together for the areas surrounding Camp. 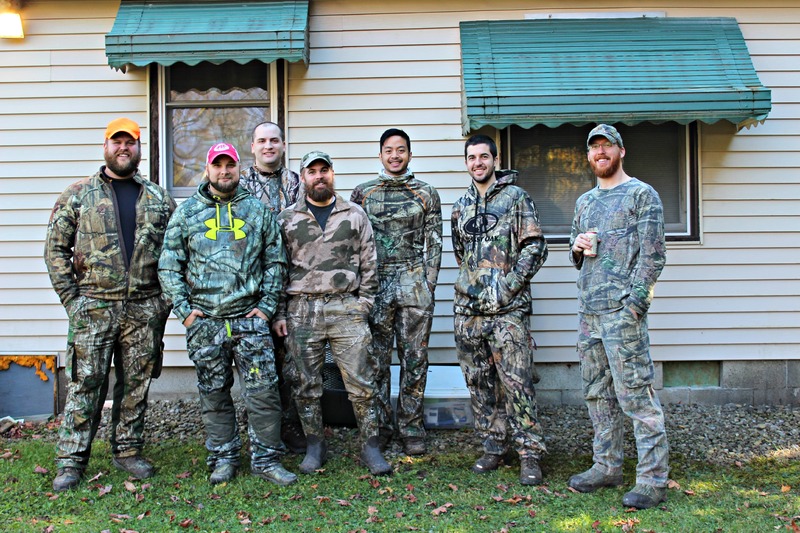 Since Camp can accommodate several people, and there are plenty of places to hunt in the area, we invited a few more friends for this year’s hunting trip. Coming with Mike from eastern Pennsylvania was our friend Josh. He has been archery hunting sporadically throughout his life, but has never harvested a deer with his bow and hasn’t taken to the woods with it in the last several years. My friend Pat made the trip from northwest Pennsylvania, he is another friend that didn’t take much persuading to buy a bow. 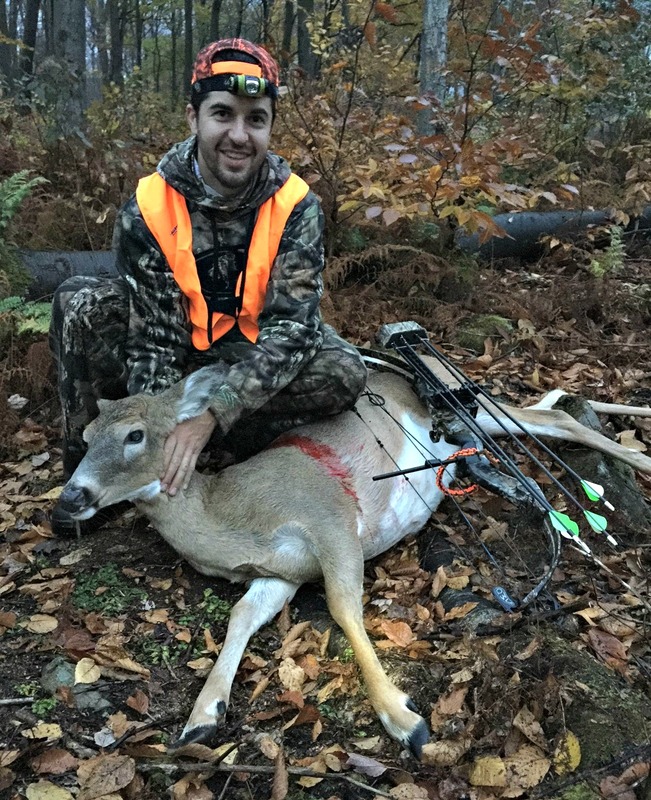 This is his first year archery hunting, and although he is new to archery he has proven to be a good shot and is dedicated to filling his first archery tag. 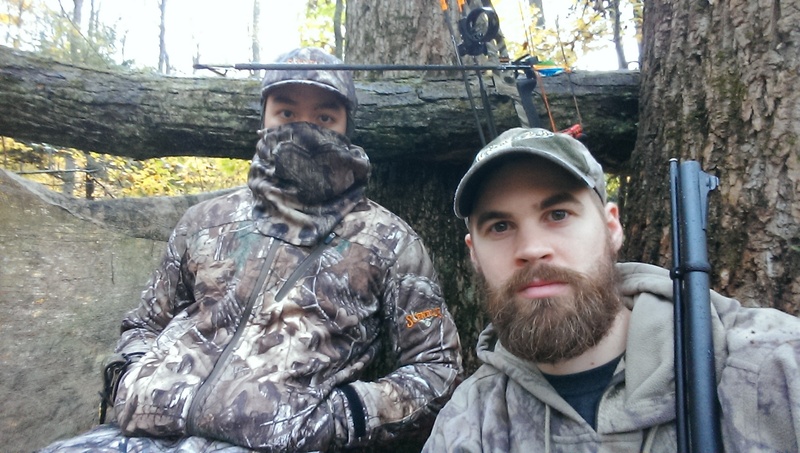 Garrett, a friend from work, bought his first bow from me a few years ago, but this is the first year he’s been able to find time to get into the woods with it. Casey and Wil rounded out the hunting party, they are friends of mine from high school and are both seasoned and successful archery hunters. Pat, Garrett, and I live relatively close to Camp and we were able to make a few scouting trips to a 20,000 acre plot of land that is within a few miles from Camp. The property is exclusively forested, with a few small streams running through it. We meticulously scoured over topographical maps of the area to narrow down the areas we wanted to scout. After getting our boots on the ground we were able to find good sign while scouting, heavily used deer paths, fresh buck rubs, and several scrapes. Using a Garmin hand held GPS, I marked the spots we picked out for blinds and climbing tree stands and, using Google Maps, created a map of the hunting spots that I could email to the guys that couldn’t make the scouting trips, so they had an idea of the layout of the property. It was finally the hunting weekend, everyone arrived at Camp on Thursday evening, Wil and Casey had the opportunity to hunt the area earlier in the day and reported seeing several deer and a bear, giving us hope for the following morning. Our hopes slowly faded as we spent the next day and a half watching the empty forest from our climbing treestands, with such a large area of forest to hunt it was hard to determine where the deer would be and when. The only sighting of a deer was when Mike bumped one up in the dim light of the first morning while walking to his stand. Wil and Casey called it an early weekend and headed home Friday afternoon. By Saturday afternoon we were discouraged, and with a storm system hovering over us, our enthusiasm to sit on stand that evening was paper thin. So we swapped out the bows for our shotguns to see if we could kick up a few of the grouse we had been seeing. Josh, who didn’t bring his shotgun, was the only one that decided to tough it out in hopes of seeing a deer. The rain clouds opened up early that evening as we small game hunters headed back to Camp, wondering if Josh was seeing anything. Even though we had very little luck hunting, we had fun and were going to end the weekend by having a few drinks, eating some good food, and playing cards. While at camp, packing up stuff for our long drives the next morning and fixing dinner for the evening I received a series of somewhat cryptic texts from Josh, all within two minutes of each other. Thinking Josh got a shot but missed only Pat went to pick him up, while the rest of us stayed behind to finish making dinner, awaiting their return. What should have been a 5 minute round trip, turned into more than a half hour, and as the sun set and the woods grew dark we began to worry about our hunting partners. That’s when the picture message came through. The three of us that had stayed back at camp hurriedly threw on our jackets and boots, in our excitement we were ill prepared to field dress a deer in the wet forest at night. We quickly found Josh and Pat, their flash lights cut through the darkness of the rain soaked woods, and we crashed through brush and briars as we made our way to them to lend our assistance. Josh finished field dressing his harvest by the light of the lantern, and we dragged the deer to the truck. High fives were exchanged and smiles were plentiful. Once back at camp we got the whole story from Josh. With about 45 minutes left of shooting light, the rain picked up and Josh decided to get down. With his climbing treestand cinched tight to his back and an arrow nocked he used the noise of the rain and the quietness of the wet leaves to cover the sound of his movements through the woods and began to crisscross through the timber. As he made his way down a narrow access road he approached an intersection with a long forgotten logging trail. That’s when he noticed a deer was walking parallel with him, about to cross the intersecting road. He quickly drew back his bow and let out a soft whistle, the mature doe stopped to assess her surroundings, with her front legs on the edge of the trail, in the brush. In that split second, Josh judged the distance to be around 20 yards, settled his pin behind her front shoulders, and squeezed the trigger of his release. His aim was true and in an instant the deer barreled through the brush as Josh watched it disappear through the thick forest, out of sight. After sending a few text messages, Josh made his way back to the trail head to meet Pat. He dropped his pack and climber at the truck and the two of them went back to the intersecting trails to try and pick up the blood trail. But, because of the rain there was no blood to track the deer’s path of escape, so they went to the last place Josh saw the deer before the brush swallowed her from sight. They found his arrow with good blood up most of the shaft, still the blood trail was non-existent, so they followed what appeared to be scuff marks on moss covered rocks, assuming they were caused by a deer in distress. Another twenty yards beyond where the arrow was found, and laying behind a log, was Josh’s first harvest with a bow. He made an excellent shot, hitting both lungs and the doe expired in a matter of seconds. Josh had just become a successful archery hunter. Spirits were high at camp that night as we quickly ate dinner so we could process Josh’s harvest. We had a long night ahead of us, but the work was welcomed. Josh had the determination to keep trying and he was rewarded for his efforts, deservedly so. It was a fitting end to our weekend at Deer Camp. ← Fly Fishing in Camouflage?